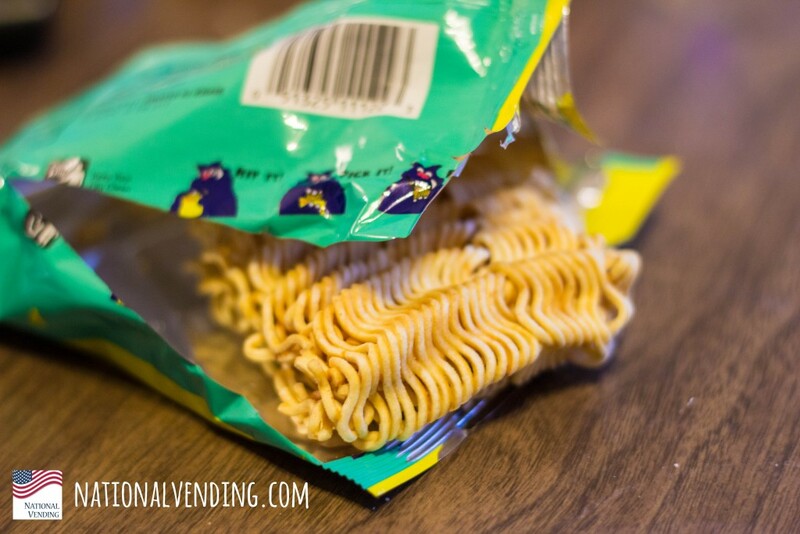 Why vending guarantee is important in your machine. Technological advances in vending machines have enabled consumers to purchase vended products using apps, debit and credit cards. We have also seen other advances inside the vending machines. We’ve all made trips to the vending machine to purchase a soda and chips only to have our selection fail to vend after we swipe our credit card. Frustrated, we think the machine charged our card so we make a call to the number on the machine looking for a refund. Or worse, someone shakes the machine in hopes of getting the product to drop, which can cause a lot of damage to the machine. But did you know up-to-date vending machines include a guaranteed vend delivery system? Each vending machine has an infrared light sensor at the bottom of the machine. Each snack or drink passes through this infrared light as it is dispensed. 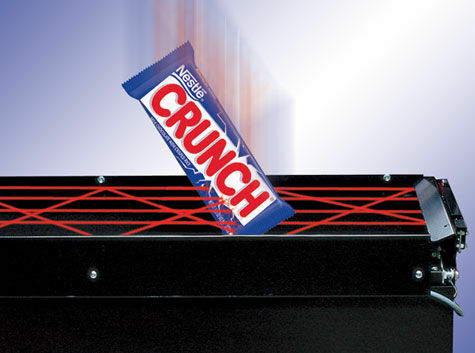 If the snack or drink doesn’t break the beam of light, it will give the customer credit back to make another selection. This feature makes the customer experience more reliable and minimizes the need to call customer service or request a refund. Not sure if your machine has a guaranteed vend delivery system? Many machines will have a sticker indicating the presence of one; you may also see a message appear after selecting your product. 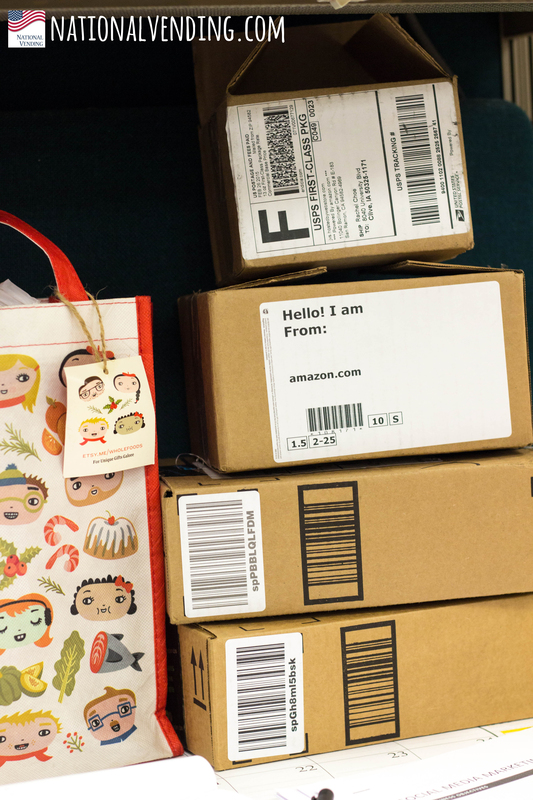 If the machines is equipped with a guaranteed vend delivery system, a message typically pops up encouraging the consumer to make another selection or dispense a refund. Guaranteed vend delivery systems can take care of a problem before it starts. Who needs a frustrated customer? 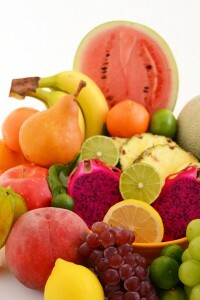 Many food trends come and go, but one thing that has stayed consistent is that people like healthy foods. 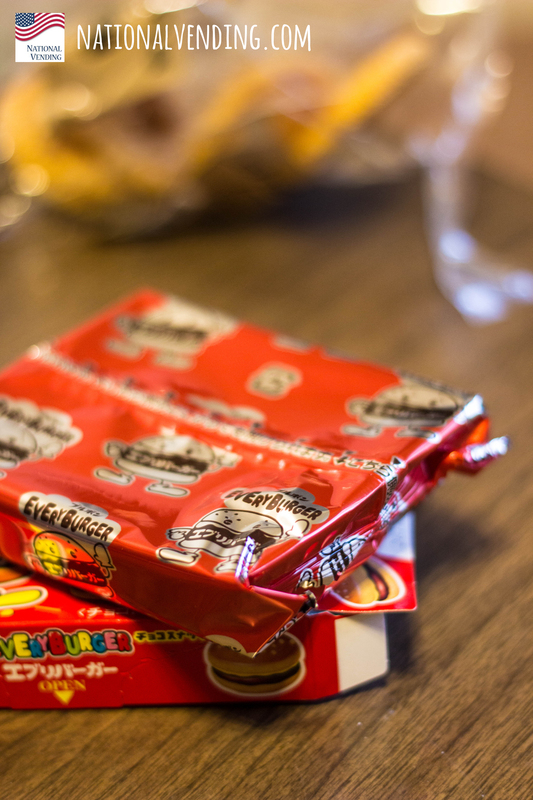 Vending machines are continuing to offer healthier options in order to meet consumer demand. Vending Market Watch said, “More than a quarter of Americans (30%) claim to usually only snack on healthy foods and almost half (45%) of those consumers claim that nutritional value is the most important factor in the foods they eat.” Consumers prefer having healthier choices so those vending machines that offer better snacks are more likely to succeed. Vending machines have come a long way over the years. In the past vending machines were often thought of for only selling candy, soda, snacks, and other indulgent foods. Today, society is so fast paced that people are always looking for a quick and healthy snack, so vending machines are offering healthier options. Consumers should take a few minutes to look at the vending machine to make the healthiest choices. Schools are especially trying to offer healthier products in order to offer nutritious options for students. Some vending machines are refrigerated to sell sandwiches, quick meals, fruit, and vegetables. Other healthier vending options include nuts and popcorn. Although there are healthier options available today, there are still many indulgent options that are high in fat, sugar, salt, preservatives, and artificial sweeteners. 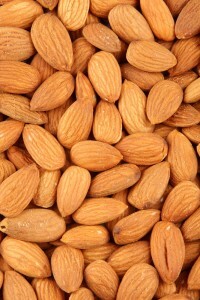 When looking to make a purchase, find items that are high in protein, fiber, vitamins, or other nutritional benefits. Cornell University researchers proved that junk food is not causing the obesity epidemic, but it is the fact that people are overeating. 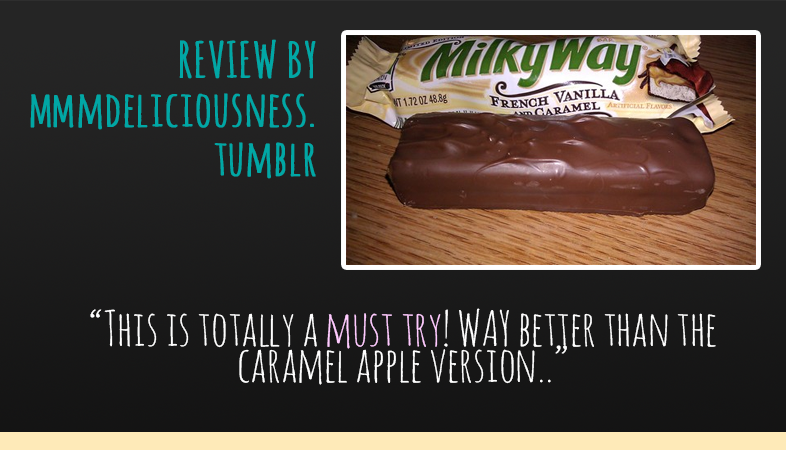 With this in mind, it is okay to indulge yourself to a treat once in a while as long as you do so in moderation. 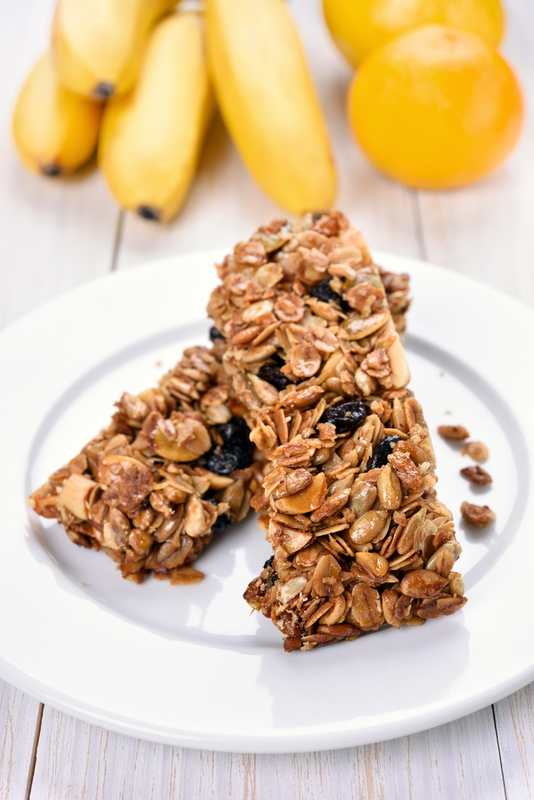 Vending companies will continue to add healthier options to their vending machines so be sure to choose products that meet your nutritional needs, but be sure to treat yourself once in a while. 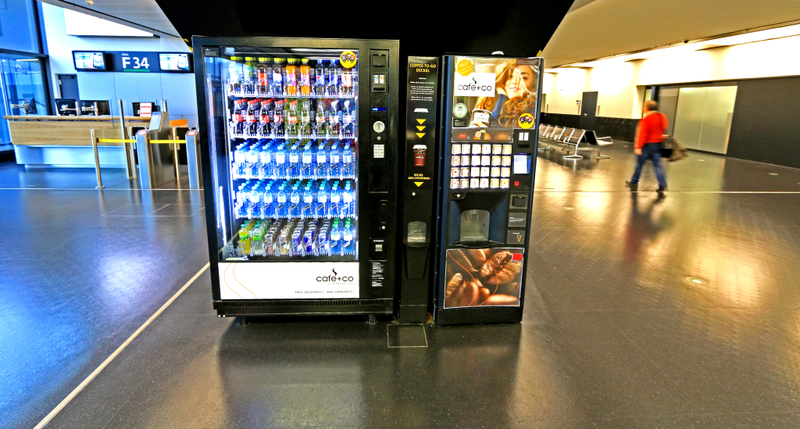 Let us know what healthy products you would like to see in vending machines! The variety of snacks you can get just by walking into your average grocery store can be pretty mesmerizing. You can get chips that come in a plethora of flavors; you can get pretzels (sweet or salty); you can get candy or chocolate bars; you can get cookies or crackers; you can get nuts or seeds, and the list really goes on endlessly. 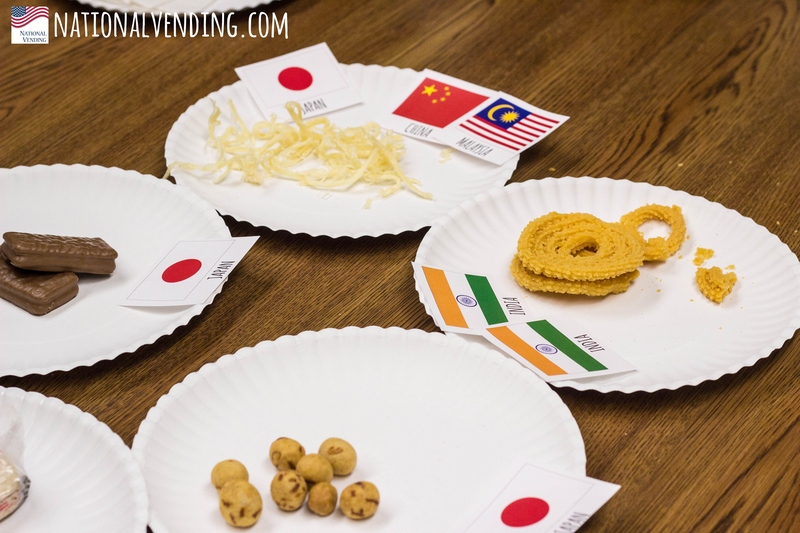 In the US, chips and cookies are the staple snack, but around the world, palates and flavors differ entirely. 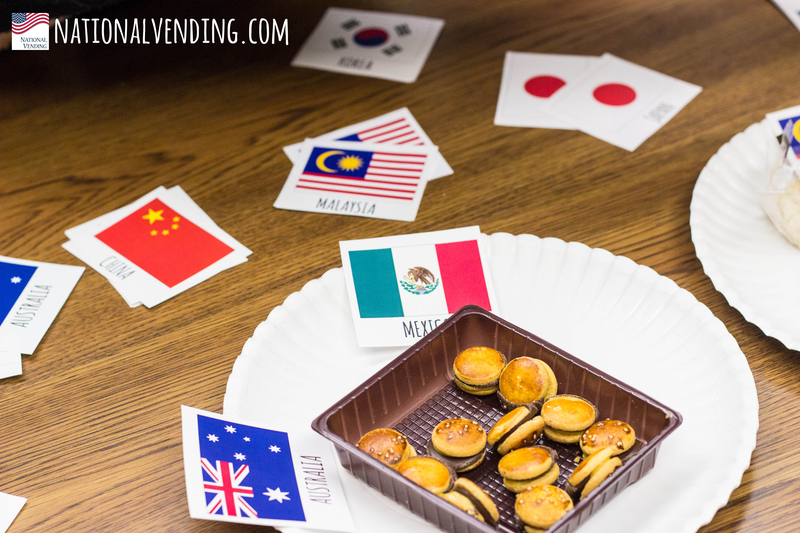 We brought in some unusual snacks from around the world to the office and had everyone give them a try. 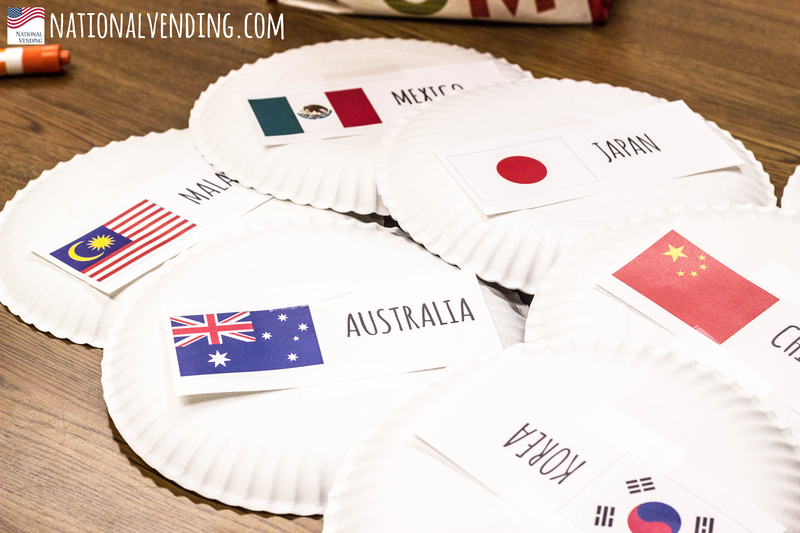 Then we had everyone guess which country the snacks originated from. It was a blast seeing everyone’s amusement with the kinds of snacks we laid out. Here’s what went down. 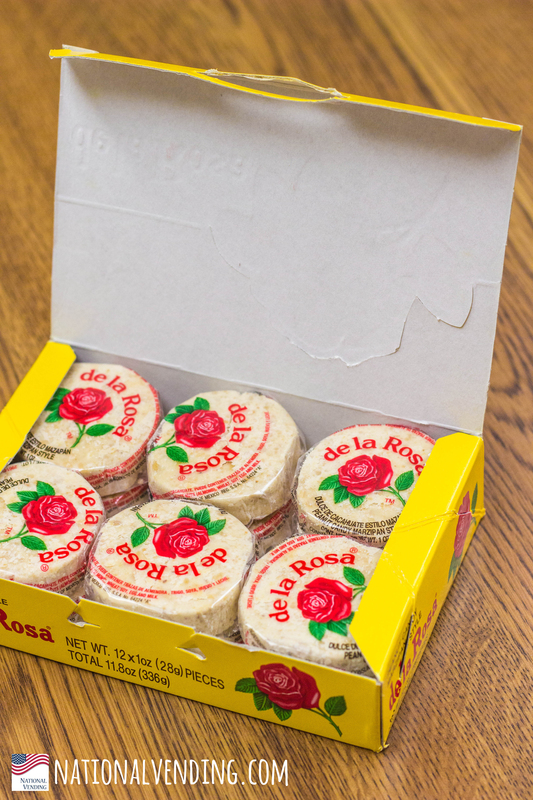 We managed to get some of the snacks from local ethnic markets in Des Moines, but had to order the rest online because they were too difficult to find. 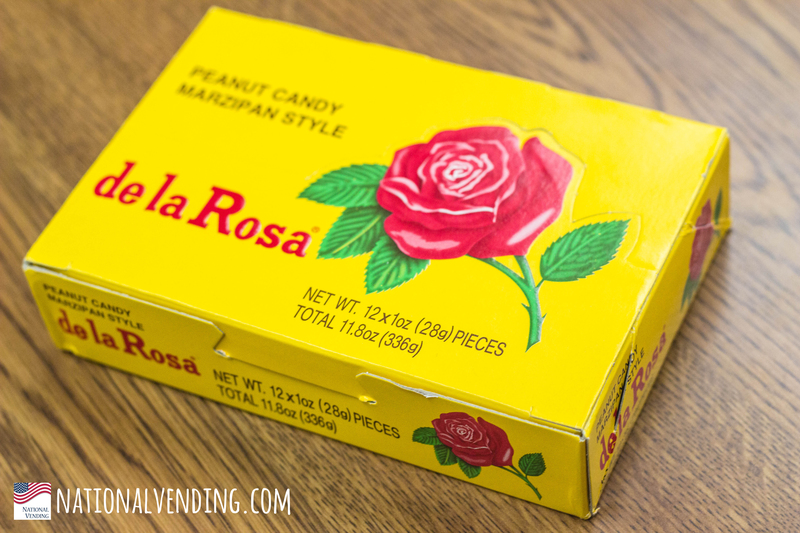 First up, they tried some Dela Rosa, a sweet marzipan peanut candy from Mexico. 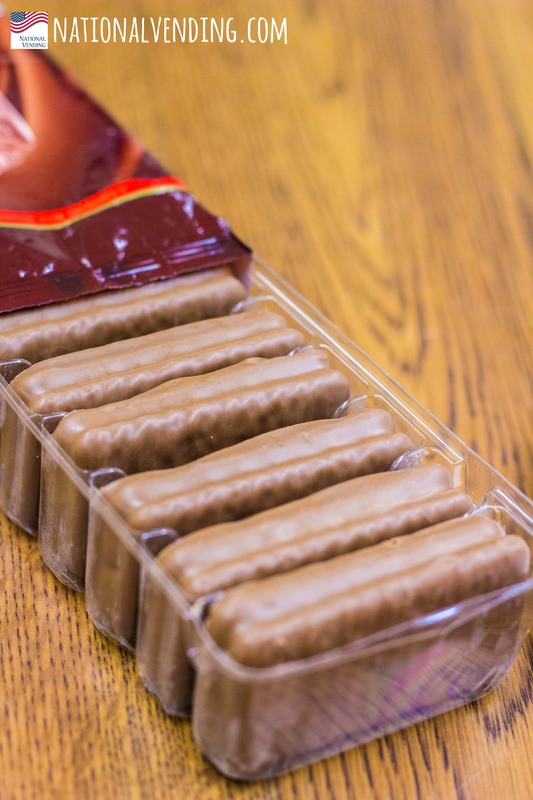 They came individually packed in little round pieces, and it was a powdery consistency that pretty much broke once we opened the little wrappers. No one could guess where this was from, but we definitely weren’t expecting that level of sweetness from it. 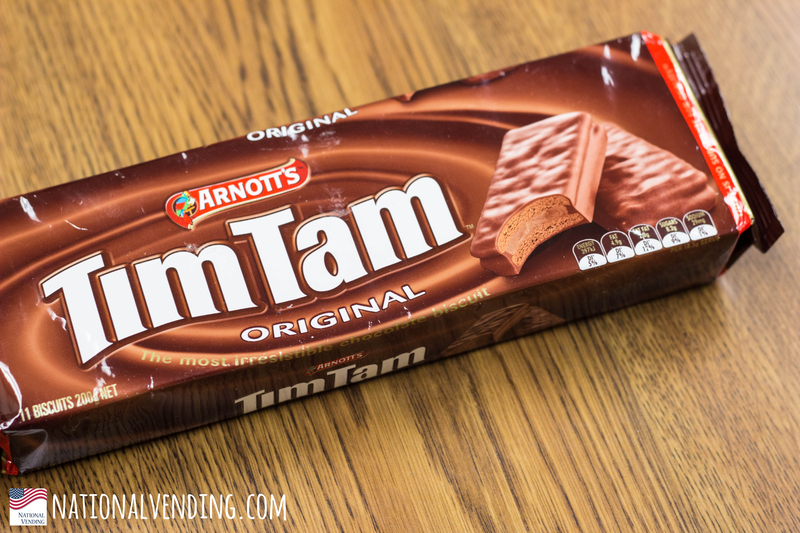 Next, everyone had a go at TimTams. 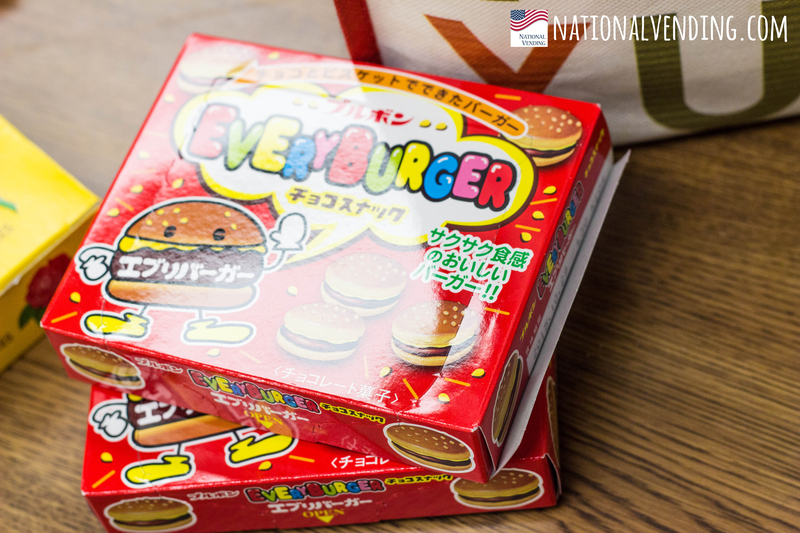 I think these were the safest looking food on the table, and everyone just loved them. We even had people asking for seconds. This Australian chocolate cookie snack is a definite must-try 🙂 They are available on Amazon in the US! 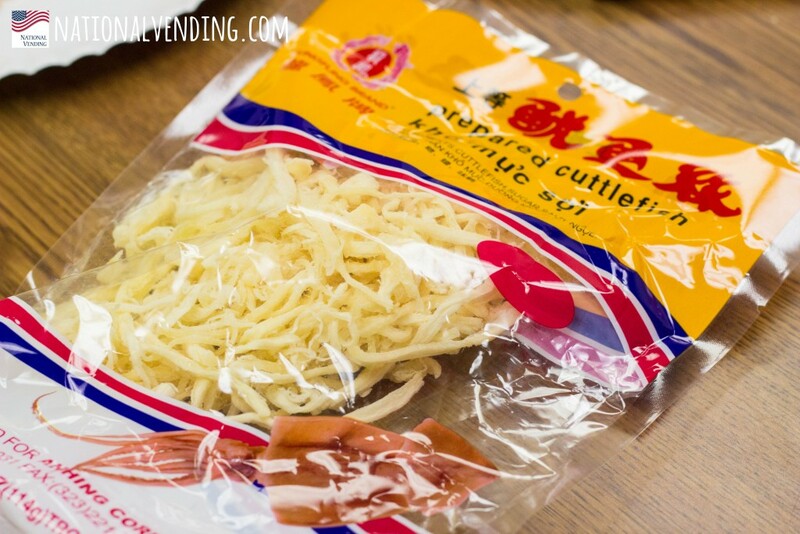 Dried cuttlefish is actually a pretty typical Asian snack, especially in China. 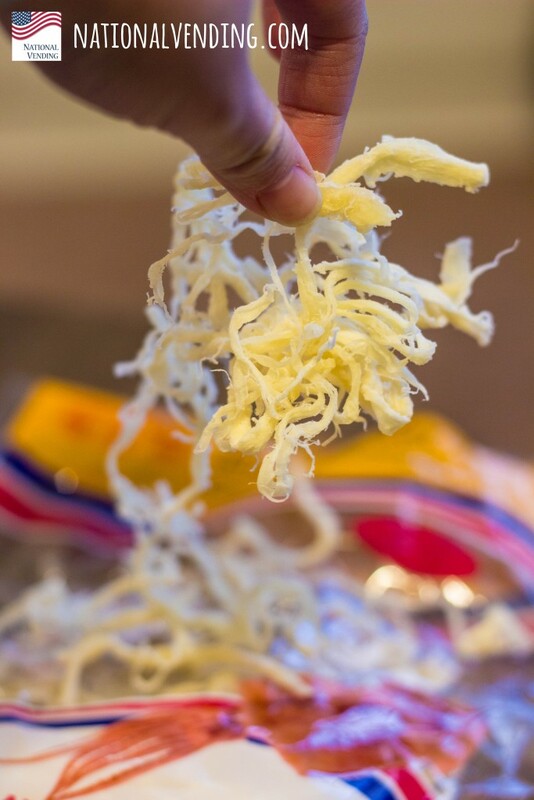 It is very much just plain dried cuttlefish, and it has quite a sweet tang. Unfortunately. it also packs in a heavy fishy smell that had everyone on their feet before trying a tiny piece of this. As it turns out, most Americans probably will have a hard time overcoming that smell long enough to enjoy this interesting snack, although there were one or two people at the office who actually enjoyed this one! 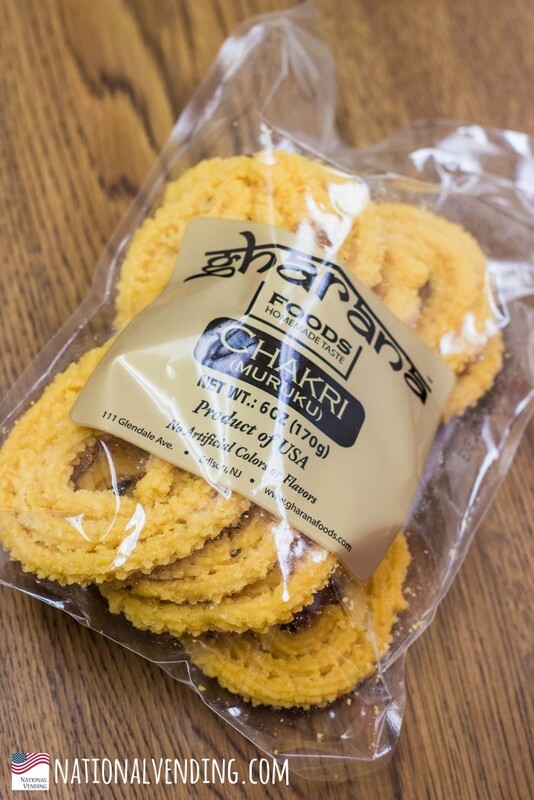 Next on the menu, Muruku from India! 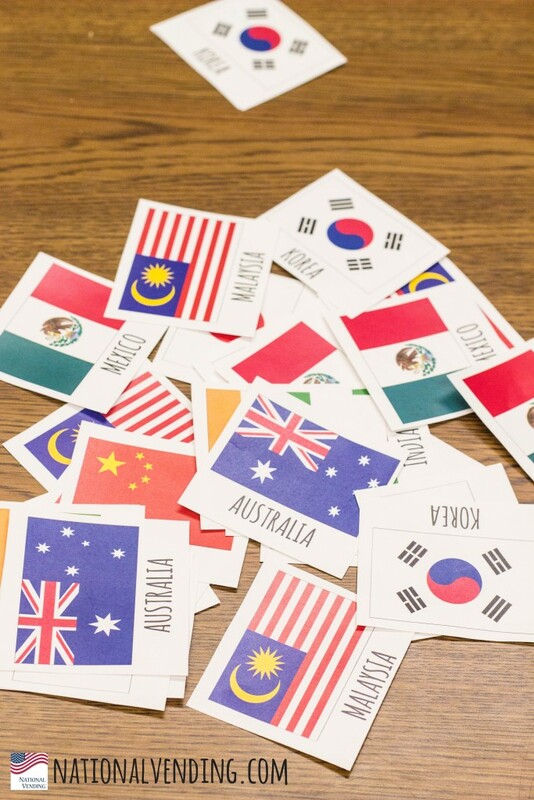 This was the easiest to guess which country it came from, and everyone got it right. 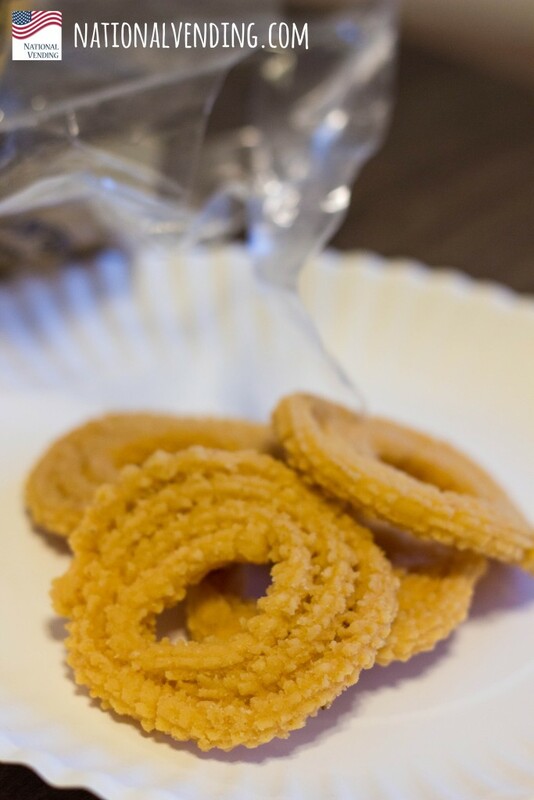 It has a distinct spice and curry taste and is a common savory, crunchy snack in India. 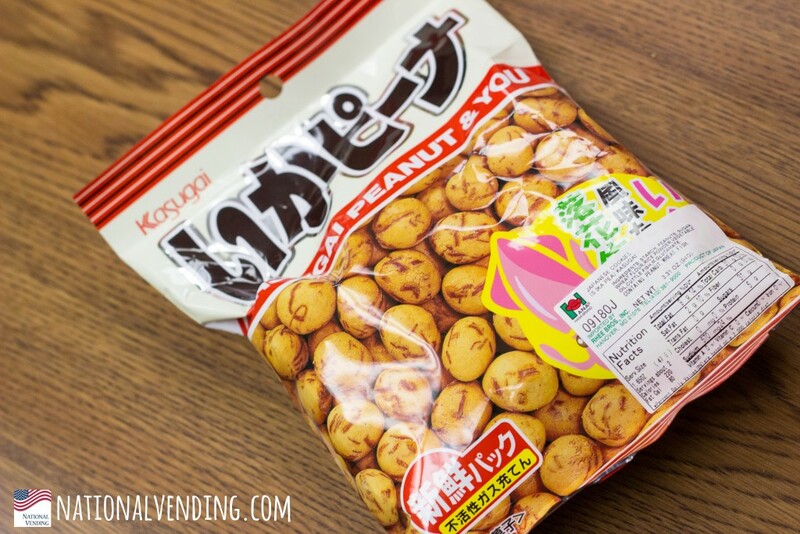 Definitely a simple, but flavor-packed snack to try if you ever get the chance ! 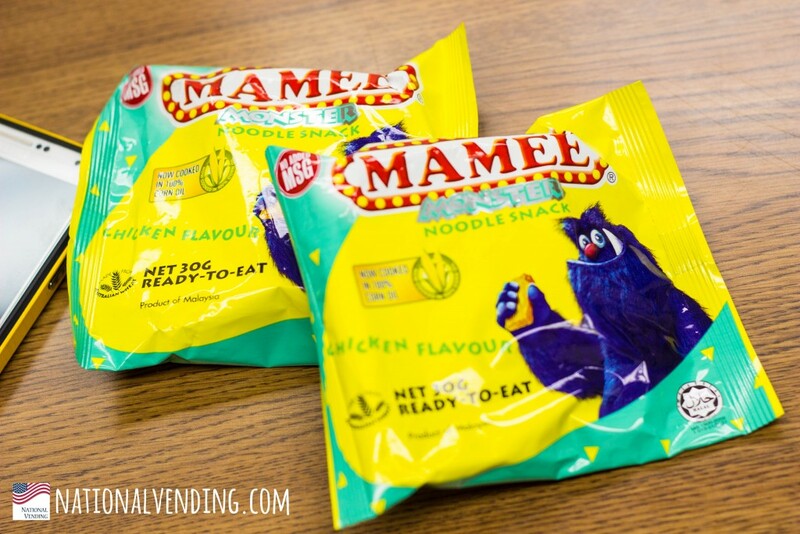 This last snack is a fun walk down memory lane for 90s kids in Malaysia and Singapore. No one got this guess right, but they were very much amused with its ramen-ness. 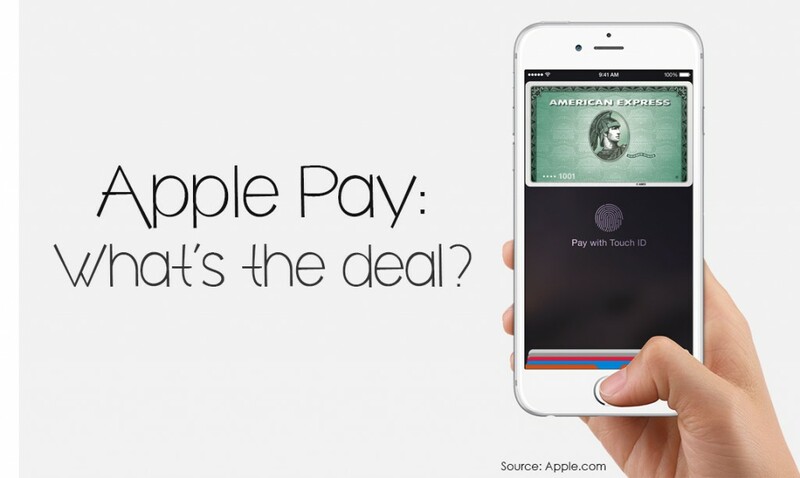 After the release of the iPhone 6, one of Apple’s most talked-about new features is Apple Pay. There has been a lot of buzz in the market regarding the new application for our phones, and we thought it’d be a worthy topic to discuss. 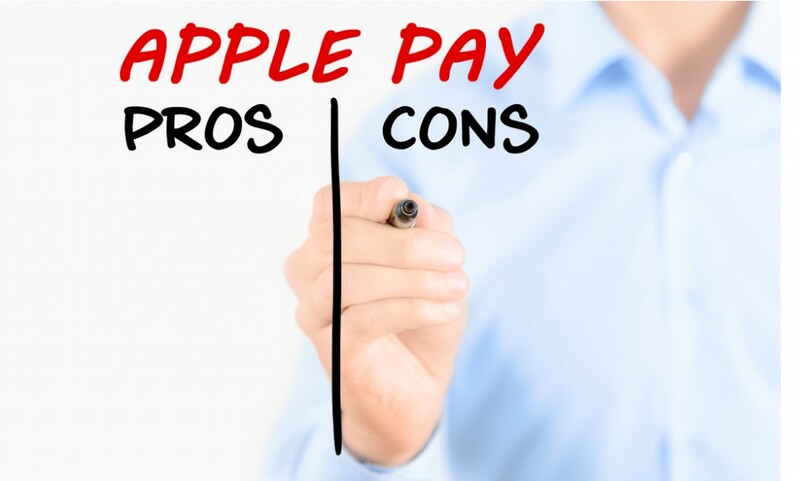 Did you know though, that these wireless payment systems like Apple Pay and Google Wallet are not the first of their kind? 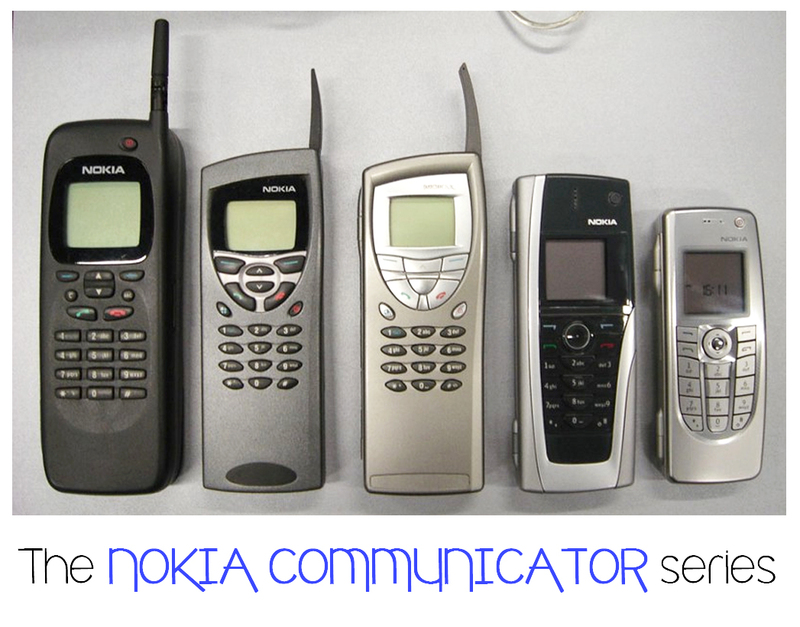 The Nokia Communicator, released in 1996, could be considered one of the first smartphones in the world. The Finns were actually the first people to use these Communicators to wirelessly make payments at vending and parking machines. Basically what they would do was send a text message to a particular machine and the payment would be billed to their service provider later. Seems simple doesn’t it? But of course, with everything there are its individual benefits and drawbacks. 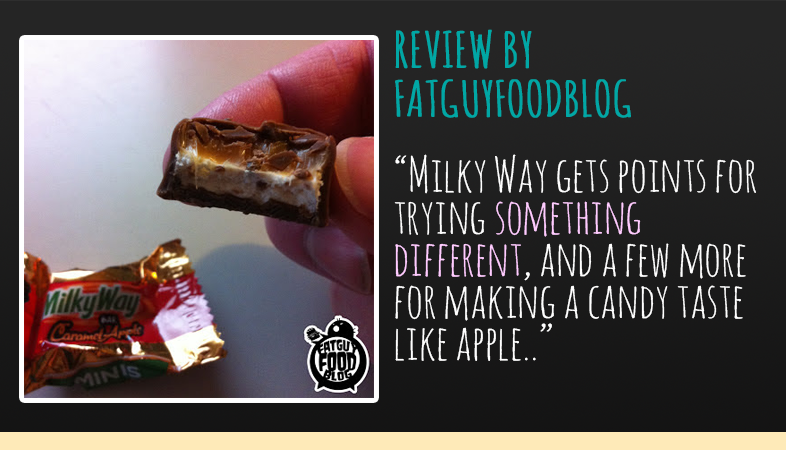 Let’s talk about a few of them that we’ve been noticing in reviews all across the Internet. Apple Pay uses “tokenization” in storing card information, which is a security feature that allows each credit card’s number to be substituted with a different ID number for every transaction. This ID is the information that merchant’s receive on their point-of-sale systems when customers make payments. All Hallows’ Eve and Pumpkin Festivities! That’s right, it’s that time of the year again where we stock up candy inventories, plan out costumes, show off makeup skills and start to see pumpkin everywhere. 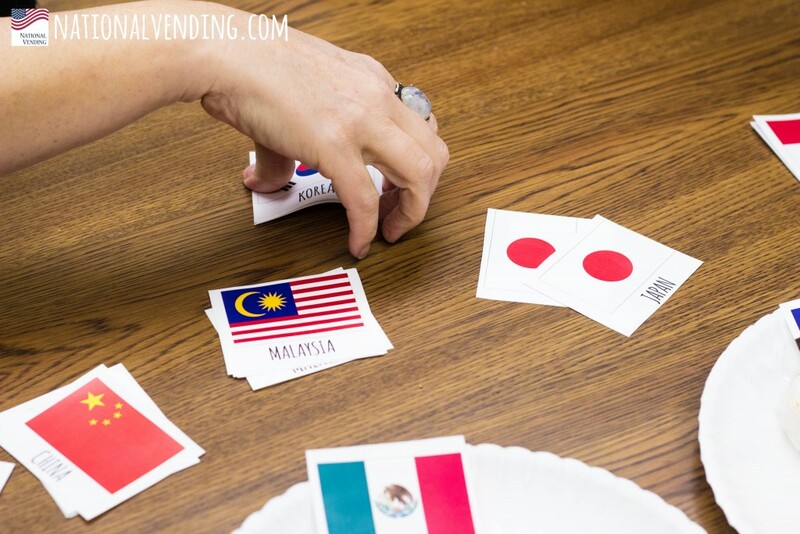 And when we say “everywhere”, we really mean everywhere! 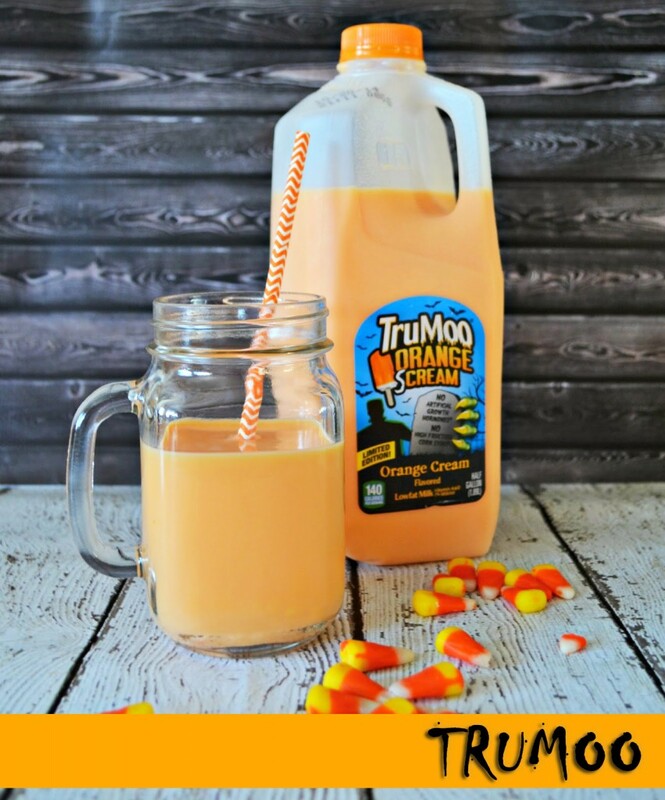 We all know about the Pumpkin Spice Latte and the Pumpkin Oreos, but there are a couple of other interesting Halloween-themed products out there every year! Let’s take a look at some of them! What do you think of this first one? 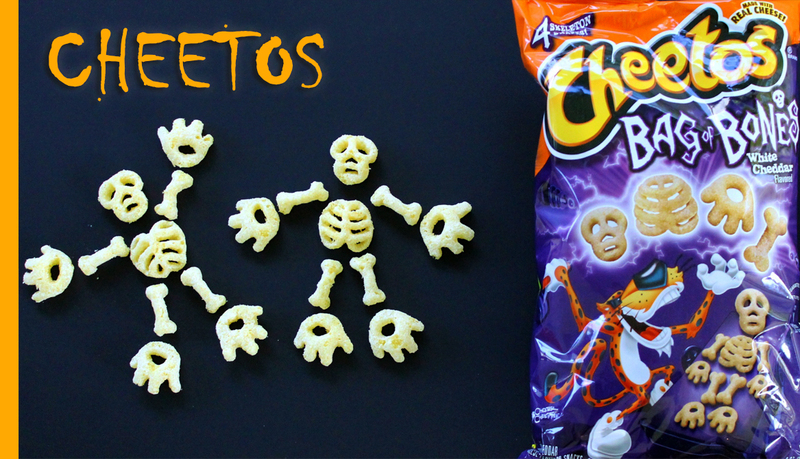 Cheetos Bag of Bones – they’re not exactly pumpkin-flavored, but they are definitely Halloween-themed! 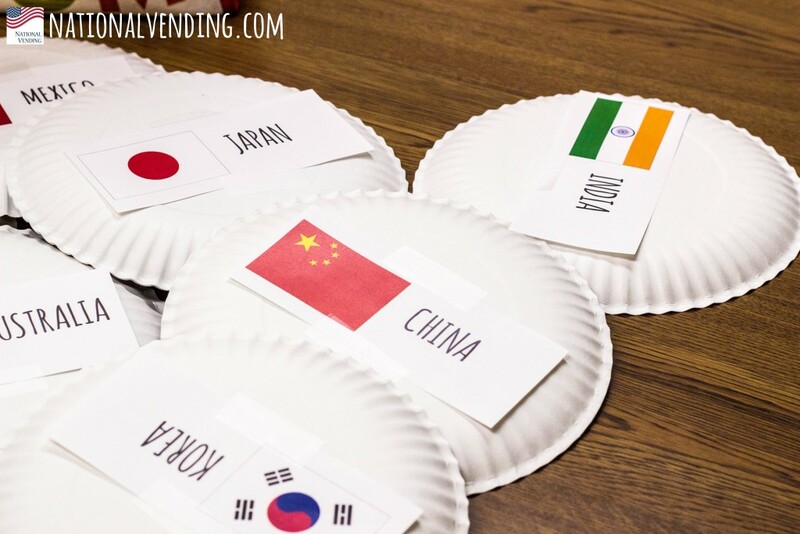 We bet they taste just as good as regular Cheetos and are extra fun to assemble! The next one is Trident gum, what about these? 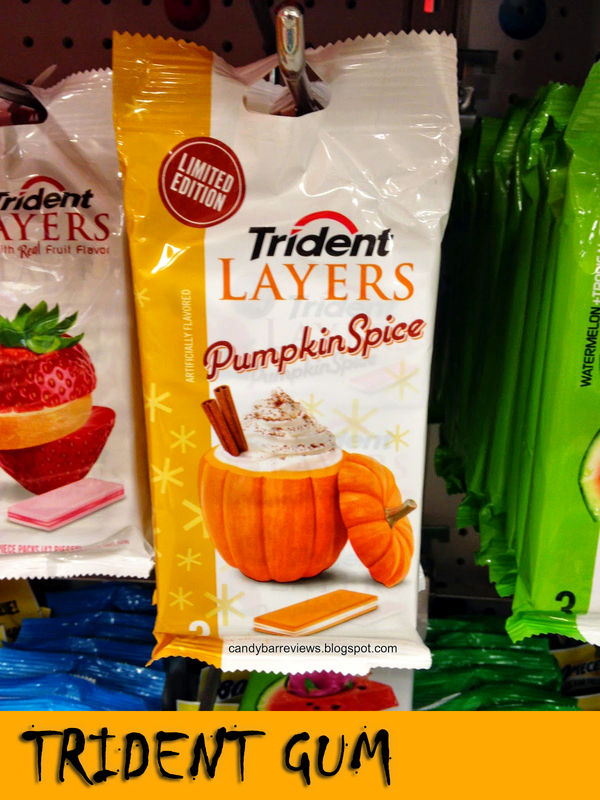 Not sure what pumpkin gum is going to taste like and we haven’t seen these around, but we’re sure it’s going to be real interesting. Even the Disney Parks are getting into this holiday mood! 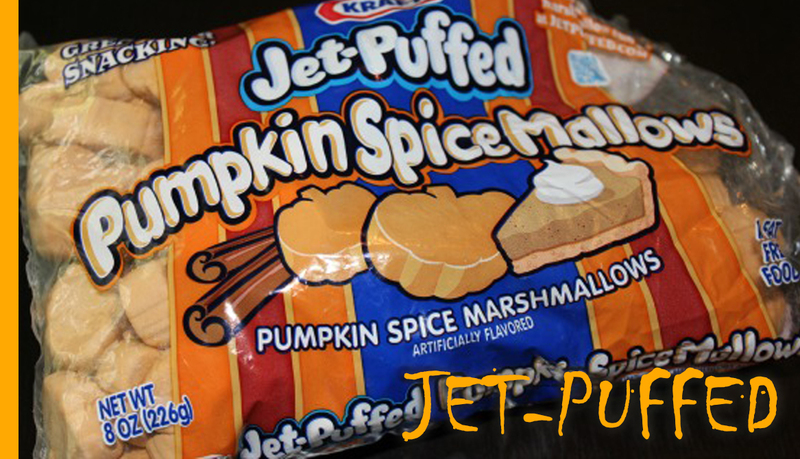 Check out their menu add-ons and changes to fit in with this pumpkin-filled season here! 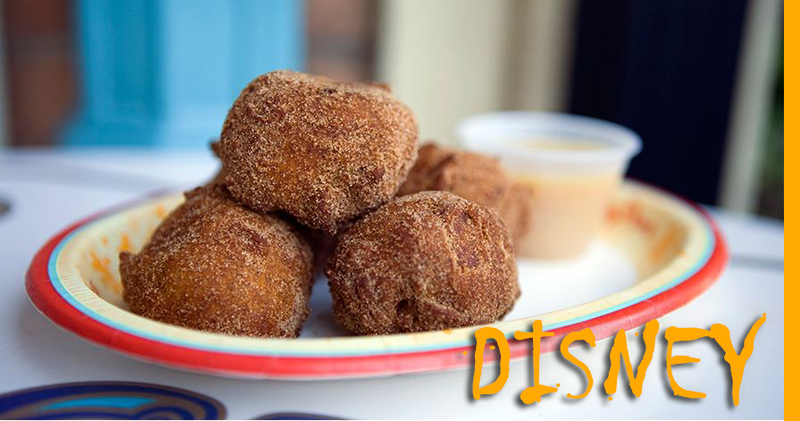 These pumpkin fritters look amazing! 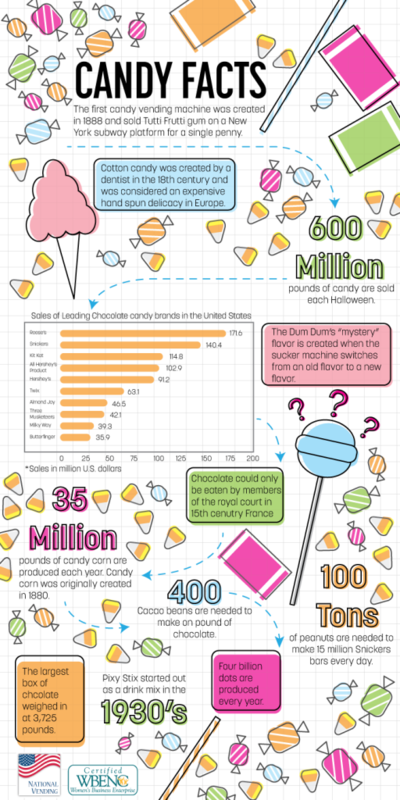 Ever wondered how pumpkins became associated with Halloween? It was brought to the US by the Irish; who had been carving “Jack-o’-Lanterns” for centuries. They say that the practice actually originated from an Irish myth about a man named “Stingy Jack”. If you’d like you learn more about Stingy Jack, click here. 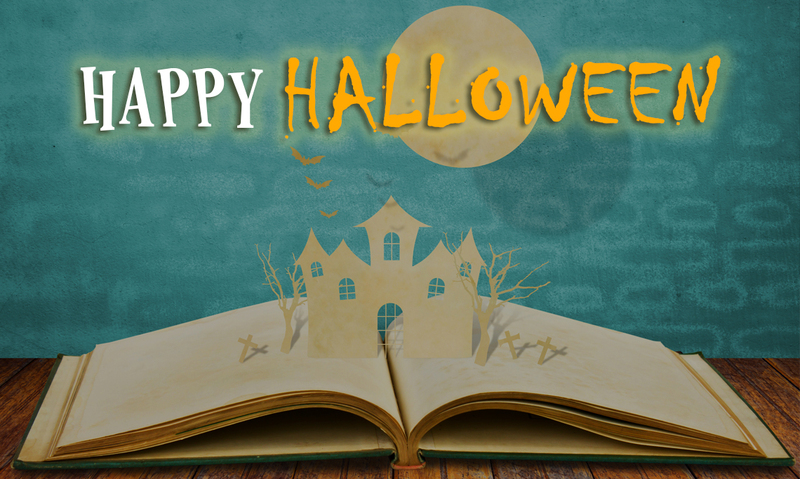 Don’t forget to share with us what other crazy Halloween snacks you’ve come across! 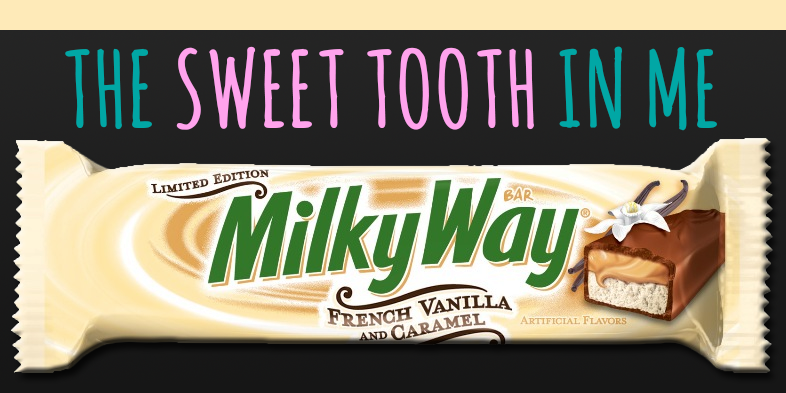 SUGAR RUSH: Candy Bars are the bomb! 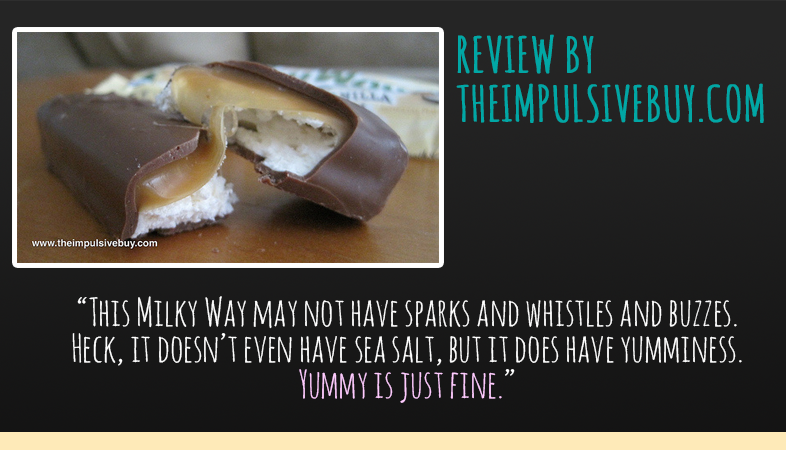 Tell us what you think of this yummy candy bar if you’ve tried it! It’s created a lot of hype recently and people all over the US are scouring stores in search of their names on Coke bottles and cans. 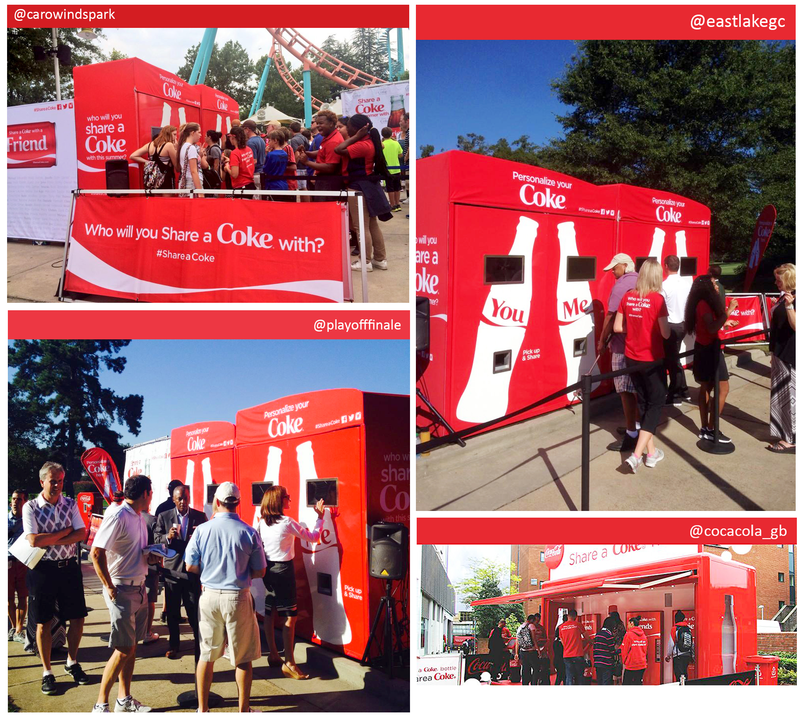 The Share-A-Coke campaign this Summer 2014 is a big hit and takes product personalization to the next level. 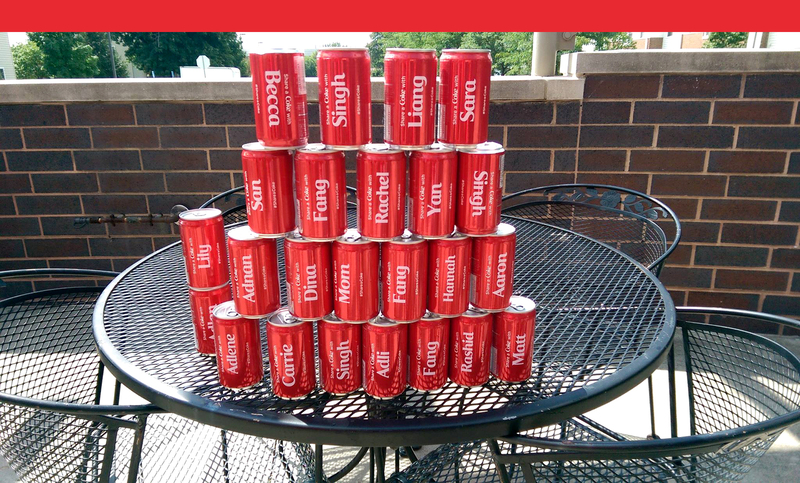 Coke has not only replaced their logo with 250 of the most popular names on some of their 20oz bottles, but the Share A Coke Tour with over 500 stops nationally gives people the chance to personalize 2 of coke cans of their own – one for themselves and one for a loved-one or friend. For the tour, Coke has set up a ton of cool vending machines that print custom names on cans instantaneously and dispense them to you! There haven’t been any stops in Iowa but we’ve seen a ton of names in stores here and it’s extremely exciting! We’ve also seen in stores; 12oz coke cans with nicknames such as “BFF”, “Gamer”, “Legend”, “Buddy”, and “Star”, just to name a few. The campaign has also created a huge amount of buzz on social media for Coke, especially with Instagram and Facebook. As of mid-July, there had already been more than 125,000 posts about the campaign.So all-in-all, we’d say the campaign has already seen success, not only with brand conversion among purchasers but mainly with the online community. What’s Your Lay’s Summer Flavor? Frito-Lay’s “Do Us a Flavor” contest in the US was a big hit again this summer with over 14 million submissions. 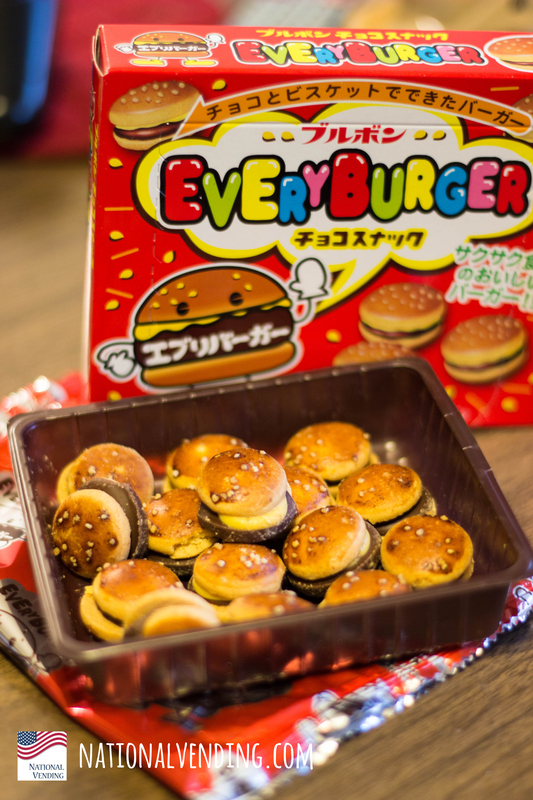 Last year’s winning flavor –Cheesy Garlic Bread– was released to stores just a few weeks after the contest, and this year the contest brought about a whole bunch of new and bizarre flavors to the finals! There are a couple of really interesting ones this year so let’s take a look at them and some of the opinions from Huffington Post. Classic American comfort food with a twist of Bacon – how great does that sound?! We think this flavor will do really well on shelves, even though it’s one of the more ‘normal’ flavors that we’ve seen in the contest. This one is interesting enough! Who would’ve thought of a coffee-flavored potato chip?! Well, Chad did! 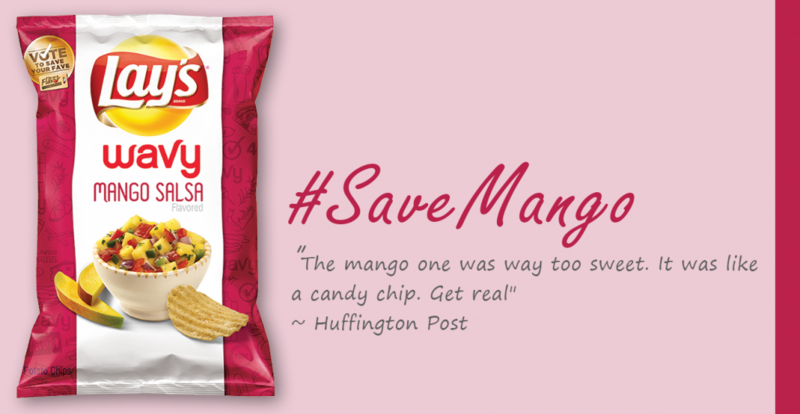 This flavor probably has the most bizarre take on chips since most people would need to expect it to be more on the sweet end instead of the savory snack that chips are supposed to be. Salsa in my chips? Well why not?! This flavor is pretty ingenious just because it’s a flavor that conforms so well to the idea of chips. Hopefully the Mango gives it the extra kick it needs to take it to the next level. This flavor is pretty exotic – definitely not your average chip flavor. 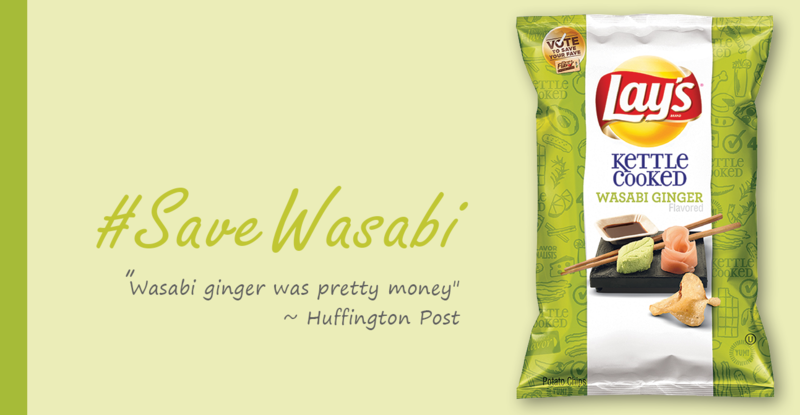 If this bag of chips somehow reminds us of sushi, lay some on us! We just hope that the taste of wasabi and ginger isn’t too overwhelming and spicy. All 4 of these flavors will be out on shelves in a few weeks and we’re really excited to give them a try! Each of these flavors has their strengths and everyone is going to have their own preference, so it’s going to be a close call! 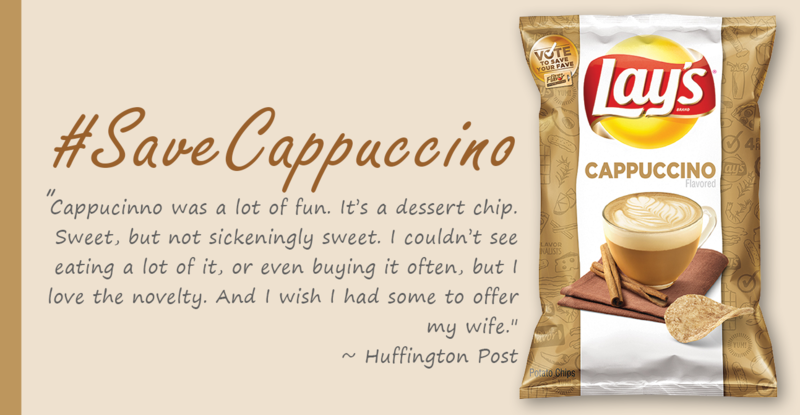 But that Cappuccino flavor is just so intriguing though, it’s definitely at the top of our list anyway. What about you? 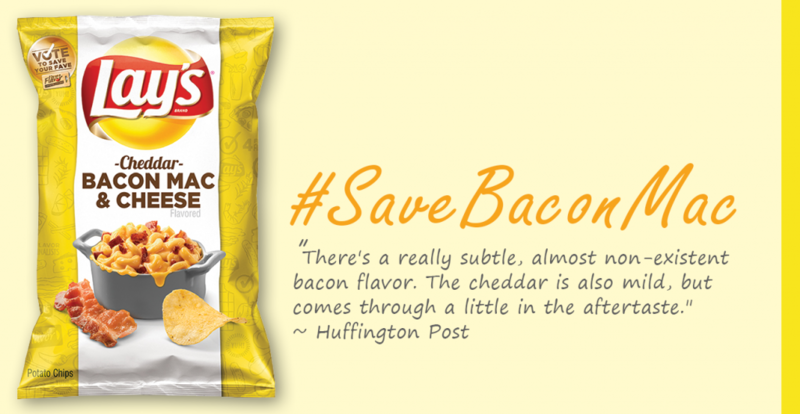 Remember to save your favorite flavor at the Official Lay’s Do Us A Flavor site!